This recipe makes 4 servings with 416 calories, 8g of protein, and 30g of fat each. For $1.29 per serving, this recipe covers 8% of your daily requirements of vitamins and minerals. Head to the store and pick up butter puff pastry, dijon mustard, egg white, and a few other things to make it today. From preparation to the plate, this recipe takes roughly 45 minutes. 1 person were impressed by this recipe.  It is a good option if you're following a vegetarian diet. All things considered, we decided this recipe deserves a spoonacular score of 32%. This score is rather bad. 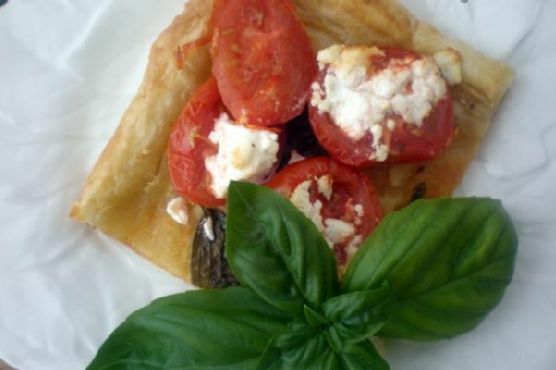 Try Tomato-Goat Cheese Tart with Lemon-Basil Vinaigrette, Red Onion, Goat Cheese and Basil Tart, and Tomato & Goat Cheese Tart for similar recipes. On a clean work surface, lay out the sheet of puff pastry and cut a 1/2" strip off of each side of the rectangle. Brush the outside of the puff pastry rectangle with the egg white and cut 1/2" strip to fit around as a border. Place on a baking sheet covered with parchment paper and pierce the pastry all over with a fork. Bake for 8 minutes and remove from oven to cool for 10 minutes. Brush Dijon mustard over the inside surface of the tart. Place basil leaves on top of the mustard and arrange Campari tomato halves on top of the basil leaves. Drizzle extra virgin olive oil over the Campari tomatoes and scatter goat cheese on top. If you're following a vegan diet (or avoiding dairy), make sure the brand of puff pastry you buy is suitable for your diet! Always read the labels carefully. Otherwise you can make your own from scratch and be 100% sure.